This review was last updated on July 14th, 2016. ADrive advertises to be a cloud solution for everyone from consumer to small and enterprise level businesses. They allow you to protect and manage your data with the ability to store, share, and edit files online. Features allow for collaborations, notes, and shared documents for time-saving workflow. ADrive’s pricing tier is separated into three solutions; personal, business, and enterprise level, with sub-plans to better customize the service to your needs. Their personal plan is their basic level and comes completely free, it’s a good idea to use this solution if you want to try out their service as it comes with a large 50GB of included storage. Another benefit in trying it out is a 60-day trial period for the premium plan; starting at of 100 GB of data risk free so you can ensure it meets all your requirements. The overall prices are incredibly competitive, with monthly rate of $2.50 for 100GB and scales up to 20TB if needed, this means that you can tailor their premium plan to meet your personal requirements and change it if the day ever comes when you need more data. Larger operational businesses can opt for an enterprise solution, also fully customizable to scale and grow with your company. Another great extra feature built in is their international character support. This makes it much easier for international users to save/store their data. They also offer an extremely competitive 50 GB of free storage. Online collaboration tools, FTP, WebDav, and up to 16GB per file from the regular 2GB limit. The list of features extends through all the basic and advanced features depending on the selected package. All files are encrypted over SSL encryption on premium plans and up, but I was unable to locate any specific encryption level or related information. File transfers can also be done over SCP, SFTP and RSync, including SSH keys, adding a layer of much needed security. Unfortunately basic plans do not benefit from file encryption. As far as data storage safety, just like any cloud service, ADrive provides geographical server redundancy, ensuring that local disasters will or should not result in data loss. The speed of ADrive’s service wasn’t very impressive. Even on my slow Internet connection, the faster providers are able to upload a 135MB video file within 20 minutes or so. It took about 32 minutes to complete with ADrive, though, and I’m using an ADSL line that has 5Mbps download and 1Mbps upload bandwidth. While I understand that my Internet connection isn’t the fastest in the world, users should note that the video file I tested with wasn’t massive. If you try to transfer large volumes of data, it’s going to take even longer. Maxed out constantly at 980kbps/s+ on large files up to 2GB. Maxed out constantly at 14-14Mbps/s on large files up to 2GB. 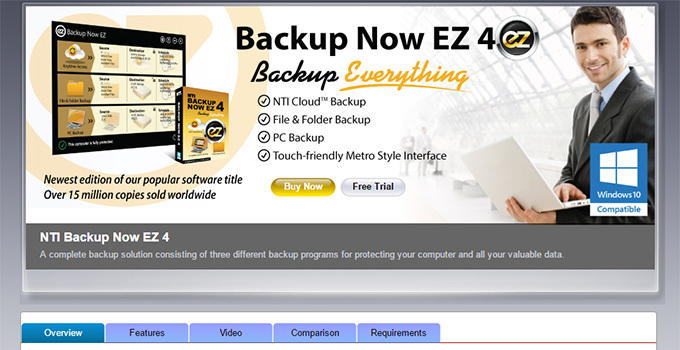 Their backup application is available on the web and Windows/OSX. The platform allows you to backup almost any type of files. The only limitation placed; aside from what storage plan you’re on, is the fact their maximum upload size for files is no more than 16 GB, although a big bonus is the fact you can even backup via Secure FTP. None the less you can backup any files you desire, they cover .mkv, .avi, .jpeg, .docx, and more. Enterprise plans can also have server backups automated to the cloud. ADrive includes a file history recovery setting which can critical in your time of need. This file history setting allows you to restore previous versions of files and even take snapshots of files/folders. This means that you are covered regardless of whether you need access to files you backed up yesterday or even last month. There are WebDav syncing features, but the platform is not intuitively designed for auomatic local disc data restoring. The support form is fairly simple but requests you to quickly identify your OS/Browser and describe your problem for their team to get back to you. Their main support features a list of e-mail accounts you can reach in an emergency or if you’re having trouble with the software. Unfortunately this is where ADrive has a major limitation; there is no phone or chat line which means there is no way to contact them immediately, this may seem like problem if you’re having trouble with their service and need support quickly. None the less the support is there, it just might take a little time to get feedback off them for your problem. The team is available 24/7 and I expect premium and any other upgraded plans to have quick response in case of emergency and data loss situations. In conclusion ADrive has a large amount of basic and intermediate features, with high storage capability, and all at very low cost. 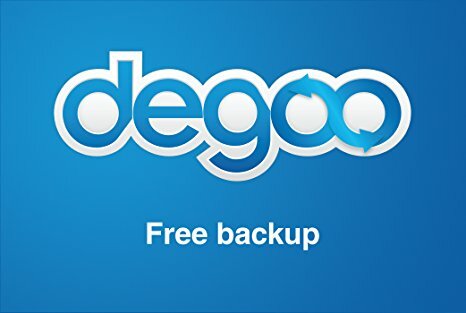 Their service is excellent with regards to file sharing and expiration dates, there file recovery system is also decent. They offer a great set extras for work place environments, including online collar tools or office document editing online. ADrive has numerous backup capabilities but basic accounts have a 2GB filesize limit, and speeds are not up to par with competition. I would conclude the service as being a basic and intermediate cloud storage service that can meet the needs of private and business users alike, at very low cost. The value for your money ratio is respectable.